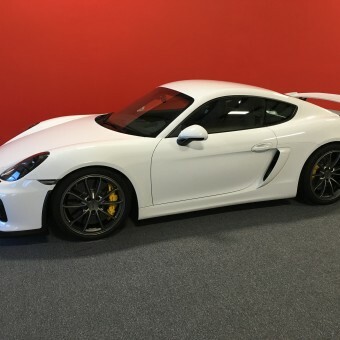 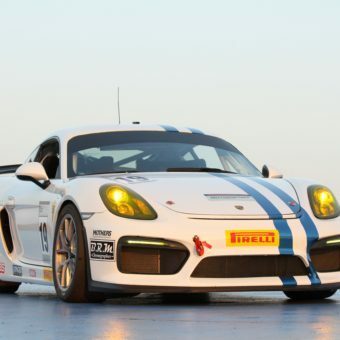 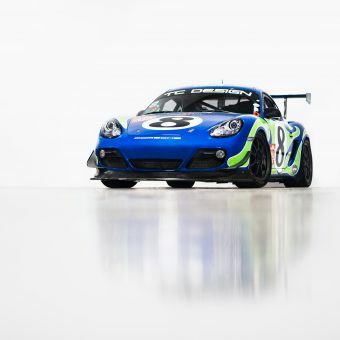 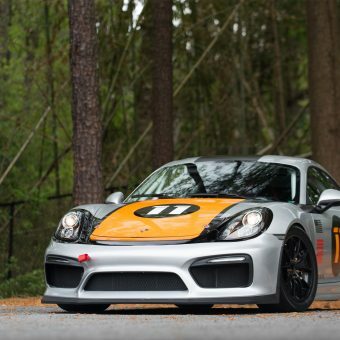 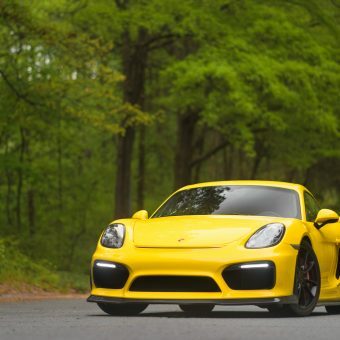 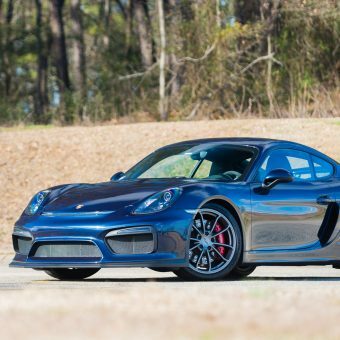 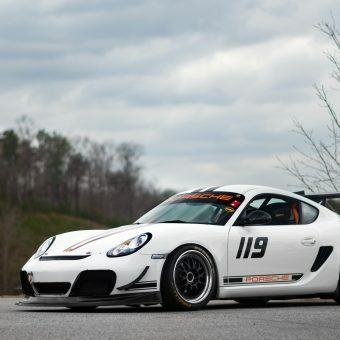 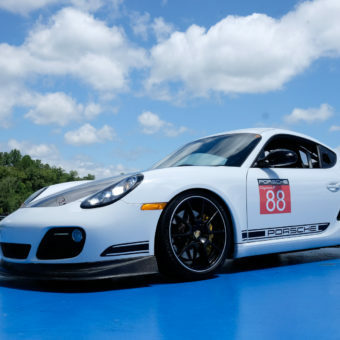 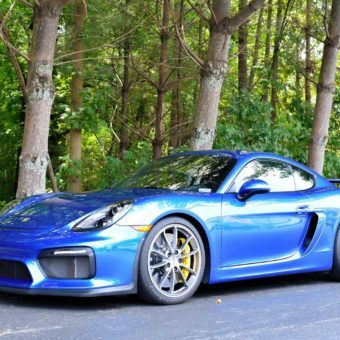 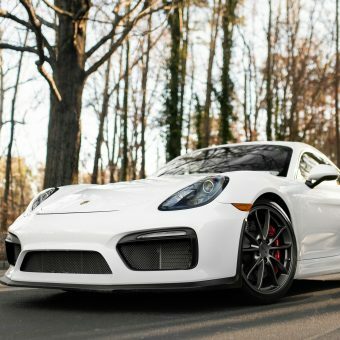 This Cayman GT4 is brand new with only 15 miles. 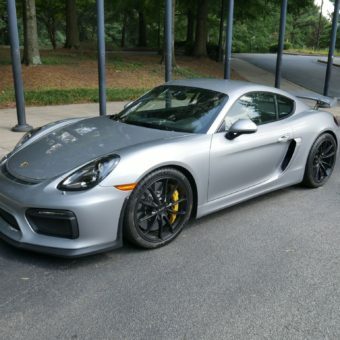 It is finished in GT Silver Metallic with a black exterior. 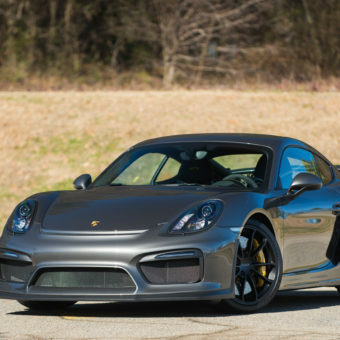 The options are as follows: GT Silver Metallic, Partial Leather with Alcantara Black (stitching in Platinum), Wing Supports in Black, Fuel Cap with Aluminum Look Finish, Headlight Cleaning System Covers in Deviated Exterior Color, Smoking Package, Extended Range Fuel Tank 16.9 gal, Luggage net in passenger footwell, Anodized Black Brushed Aluminum Interior Package, Sport Chromo Package incl. 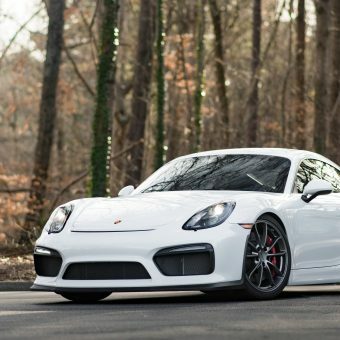 Porsche Track Precision App, Steering Wheel and Gear Lever in Leather, Wheels Painted in Satin Black, and Bi-Xenon Headlights in Black incl. 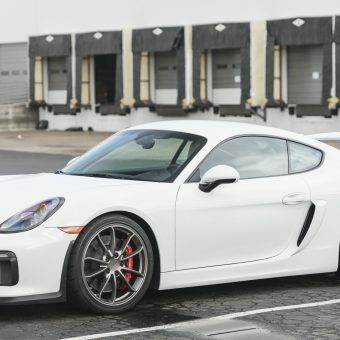 Porsche Dynamic Light System.